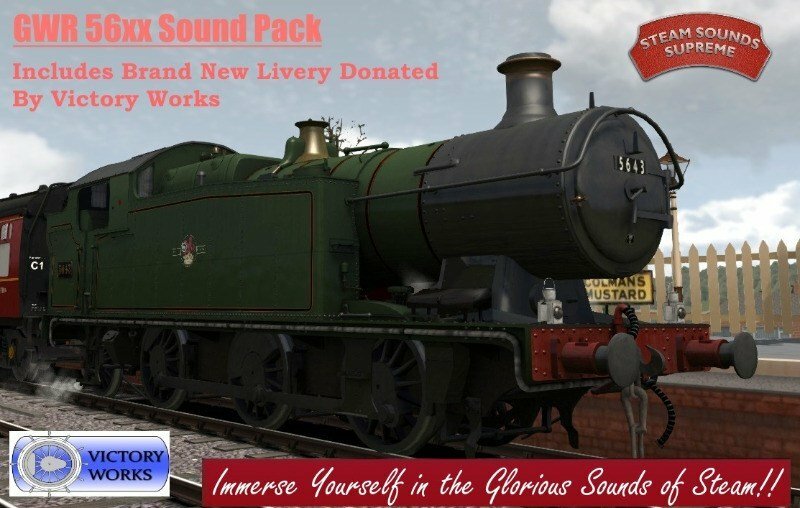 We are pleased to announce that Steam Sounds Supreme have just released a sound pack for our GWR/BR(W) 56xx addon. They have created a complete new sound set with some really excellent features which is accompanied by an official BR Lined reskin supplied by ourselves, all for £5.50. Obviously you will need to have the original addon for this pack to work. Click here to visit Steam Sounds Supreme's page. The video is well worth watching to see just how good it looks and sounds. It's a nice connection that some of the sounds were recorded by SSS from 5643, the very loco I rode on and studied at the Llangollen Railway 4 years ago which inspired me to build a more realistic Railworks steam locomotive and resulted in the 56xx addon. And it's always a pleasure to work with other developers who are as passionate about steam locomotives as we are. GWR 48xx/14xx: Colour cab and a familiar face?